Washington is continuing to put forward its aggressive interference in the region. This year, in December, the annual conference will discuss how social movements and trade unionists are resisting the resurgent right-wing governments. The Trump presidency has increased its foreign intervention in Latin America. As part of his foreign policy, he has tightened the blockade of Cuba and threatened to sanction Nicaragua. However, the resurgent right wing in Latin America is facing resistance owing to the mobilisation of social movements, trade unionists and the Left winning the Mexican election. This is why No Coup in Brazil, Latin American Conference, Venezuela Solidarity Campaign and Cuba Solidarity Campaign are organizing its annual Latin America Conference 2018, “Adelante 2018”. The event will be attended by over 50 campaigners, politicians, trade unionists and academics from Argentina, Bolivia, Brazil, Colombia, Cuba, Ecuador, Mexico, Nicaragua, Venezuela and the UK. There will also be films, stalls, music and discussions. 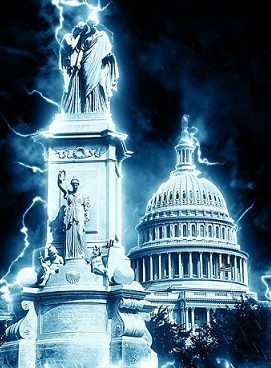 socialism”, “Cuba 60 – building a better world under the eye of the empire”, “Brazil after the elections – fighting for justice & democracy” and “No to Trump’s ‘regime change’ agenda in Venezuela, Cuba and Nicaragua”. The speakers include: Mariela Castro, Cuban MP & director of CENESEX; Maritza Espinales, Nicaraguan MP; Guillaume Long, former Ecuadorian Foreign Minister; Rocio Maneiro, Venezuela; Tariq Ali; Chris Williamson MP and many more. 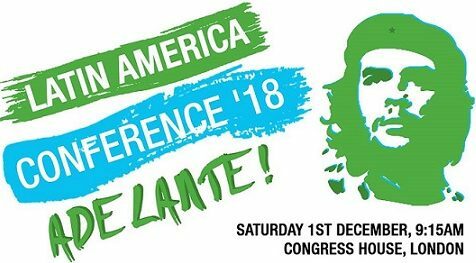 Latin America Conference 2018, “Adelante 2018” will take place on Saturday, 1 December 2018, from 9:15 am. to 6 pm. at the Congress House, Great Russell Street, London, WC1B 3LS. For further information, click on the following links: Latin America Conference, Facebook event and tickets.